This was a very poignant day, being exactly 100 years since the end of the first world war. The usual parade and church service were followed by wreath-laying in the Town Hall. 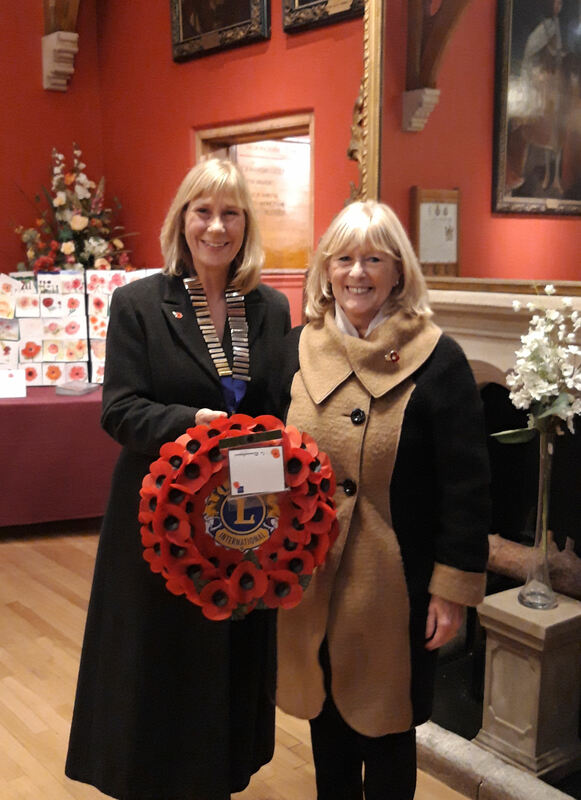 Our president Debbie Slay and vice-president Lyn Bailey laid a wreath on behalf of Wokingham Lions Club. Wokingham Town Council organised a number of events to commemorate the centenary of the end of the first world war. Several of these events took place in the town centre on Saturday 27 October. Wokingham Lions manned a tea and cake stall in the town hall, with all proceeds going to the Poppy Appeal. One of Lions International objectives is to address sight problems around the world. Every club helps with this through the Spectrek initiative trough which they collect unused spectacles and recycle them to third world countries. This scheme is explained in detail in our Spectrek page. 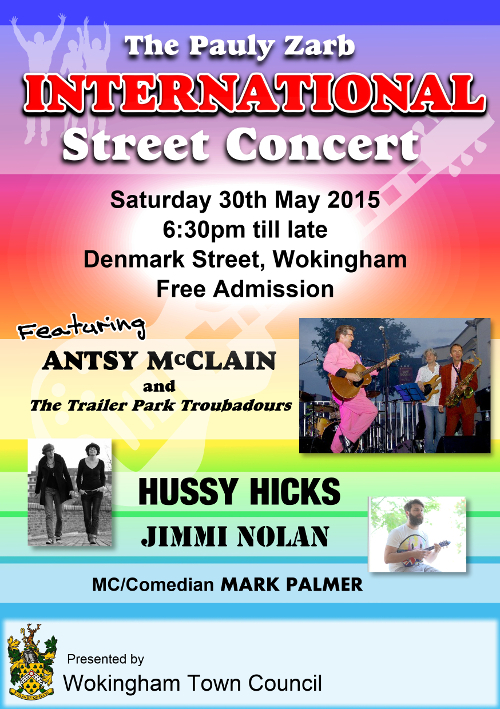 Wokingham Council organised this event to celebrate our national heritage. This year’s theme was Extraordinary Women and our president, Debbie Slay, was honoured to be chosen as one of those honoured as a mark of recognition for the many years she has been involved with Wokingham Lions, supporting local good causes. Can Can is a community service project Wokingham Lions Club has been running for over 20 years. We liaise with local supermarkets who allow us to set up a stall outside their store. 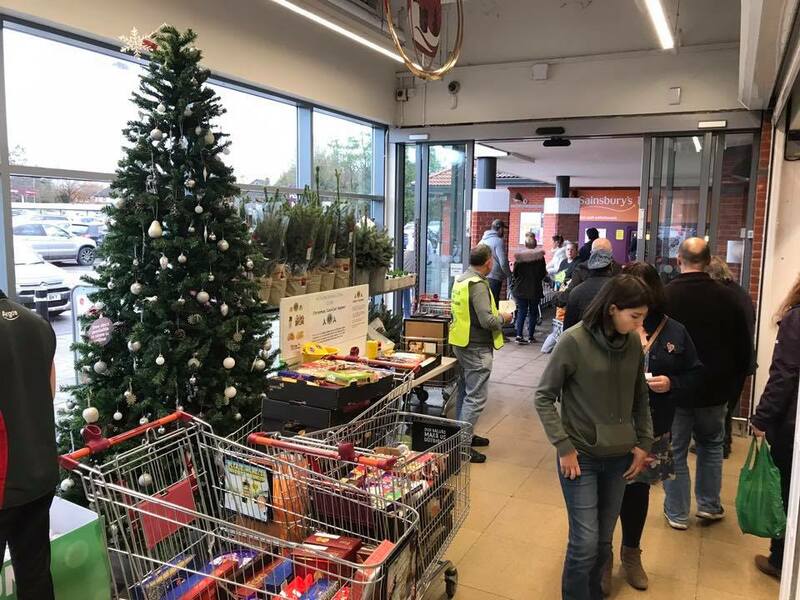 We then hand a leaflet to their customers which asks them if they could buy a non-perishable food item as part of their shop and donate it to us. From the proceeds we make up parcels of assorted items which we deliver to those less fortunate in our community in the form of a little Christmas gift. This year we made up 220 parcels which we distributed to the elderly living at home and in state run care homes, single parents with young families, day centres for the elderly, Wokingham Hospital, social services, CAB clients and the Salvation Army. We also donated some to the Wokingham Food Bank. To help celebrate the centenary of the formation of Lions Clubs we organised a tea party for local elderly residents at Wokingham Theatre. We collected 48 residents from their homes and gave them tea, sandwiches and cakes. Lion John Cleary entertained them with a selection of all-time favourite songs and music from the West End, and the theatre’s Bob Hill recounted an amusing West Country tale. The weather was kind to us so the event was held outdoors. 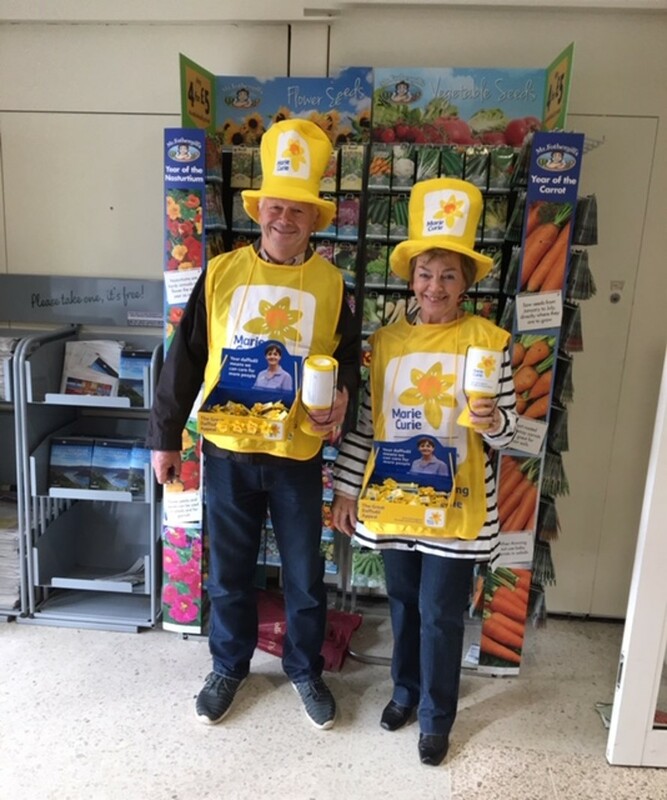 Since entering into partnership with Marie Curie in 2013, Lions Clubs’ support of the Great Daffodil Appeal has been incredible. It has helped fund an amazing 31,000 hours of care for people living with a terminal illness. In 2015 the partnership was extended for a further three years. 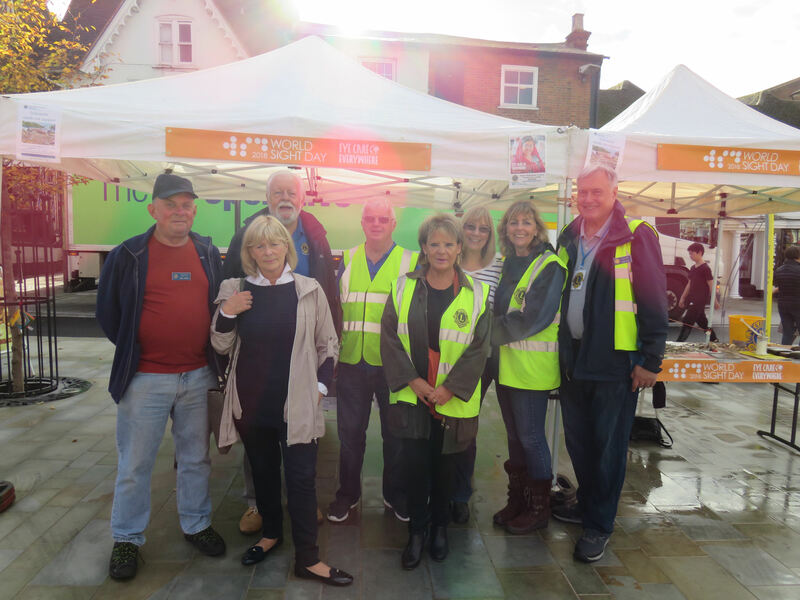 Wokingham Lions Club helped by collecting outside Morrison’s supermarket. Over the three days of the appeal we collected £1,171.25 for them. A bench in memory of Sue Balchin MBE was unveiled today in Howard Palmer Park by Wokingham Town Mayor, Councillor Philip Mirfin. Inscribed in the bench are the words “Donated in memory of Susan Balchin MBE 1940-2015 who worked tirelessly for the local community.” The idea for the bench came from members of the Wokingham Lions Club, who attended the unveiling, along with members of Sue’s family. 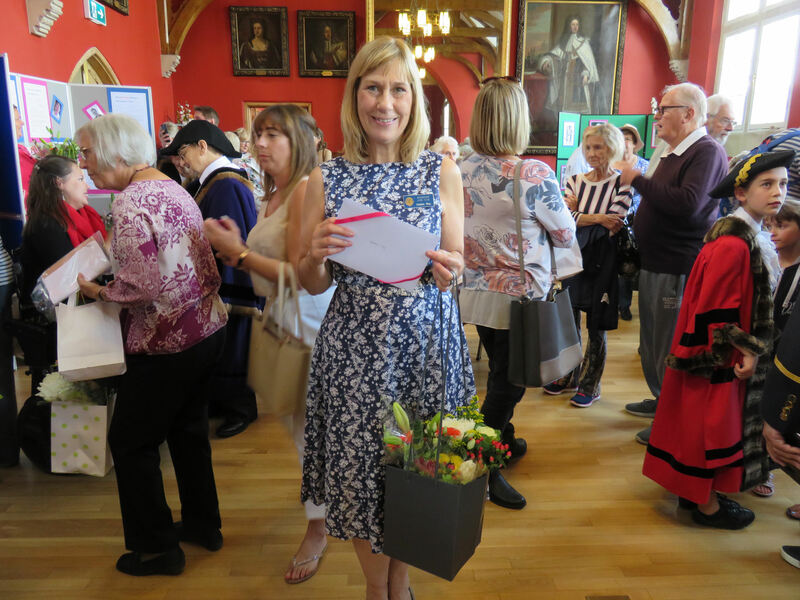 The mayor spoke of Sue’s devotion to those less fortunate in the Wokingham community, and the many organisations and individuals she was able to help. Her step-son Roger Balchin said those who sit on the practical and beautifully crafted bench can think of Sue in a quiet and very pleasant location. He remembered Sue for her generosity, kindness and compassion. In 2013, Sue was awarded an MBE for her service to the Berkshire community. In 1997, she became one of the first female members of the Wokingham Lions Club, and was the first female President of the Club in 2004, and again in 2009. Sue also served as Club Secretary, Social chairperson, Welfare chairperson for several years, May Fayre chairperson, stalls organiser for both the May Fayre and Winter Carnival and Public Relations officer. Every year, she organised the Christmas carol singing round the restaurants and pubs in Wokingham. Sue recently became heavily involved with the Food Bank and the homeless in Wokingham. She was a great supporter of working with young people and encouraged the most recent youth project within the Club, the Creative Youth Collective. “Sue touched many lives in Wokingham, and we miss her very much,” said Tim Hanton, president, Wokingham Lions Club.